Chop onion, cilantro & curry leaves finely. Grate the coconut. Crush the pepper seeds. When all these are ready, heat a pan and pour 1 teaspoon of oil. Put the onion first and sauté till it becomes transparent. Then turn-off the stove and add pepper, coconut, cilantro & curry leaves. Mix all these items very well. Let it cool for sometime. Take Pearl millet flour in a bowl. Transfer the sauted ingredients to this bowl. Add rock salt and 1 teaspoon of oil. Add water slowly and mix the flour. Knead the dough thoroughly and make it slightly thicker. It should not be watery. Take a thick polythene sheet and greese the inner part with few drops of oil on both sides. Pick little quantity of dough, roll it and then flatten it with palms. Now place it inside the polythene sheet. Use the rolling pin and press smoothly to make a round shape roti. Remove it carefully from the sheet and place it on the hot tawa (griddle). If required, drizzle few drops of oils while cooking roti. I have learnt this recipe from Healthy Food Kitchen . 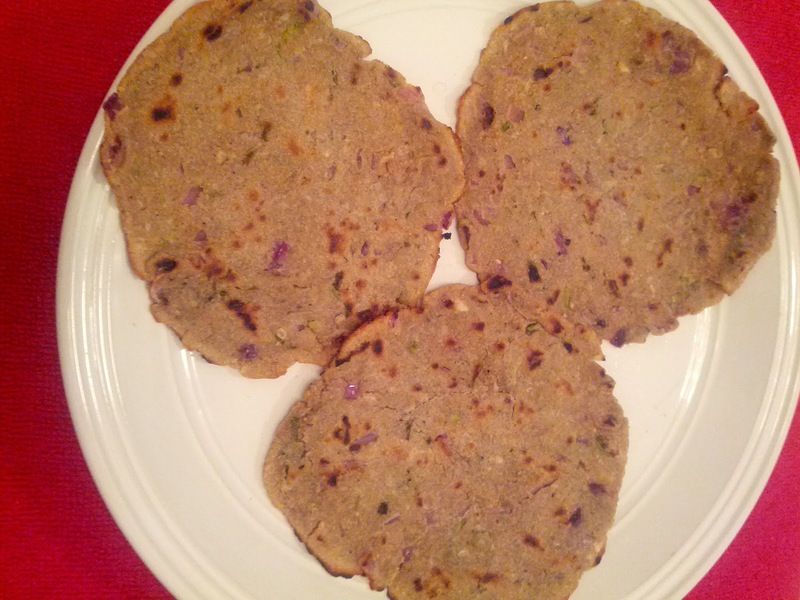 I wanted to make proper millet roti since long. Making millet rotis are little risky. Because it will crack easily if we do not make dough in the right method. I found this method very simple. Also it does not require oil to cook on tawa. The roti will crumble when it becomes cold. So it is better to eat it as quickly as possible. Eat it with any side dish like Chutney or any vegetable gravy of your choice.